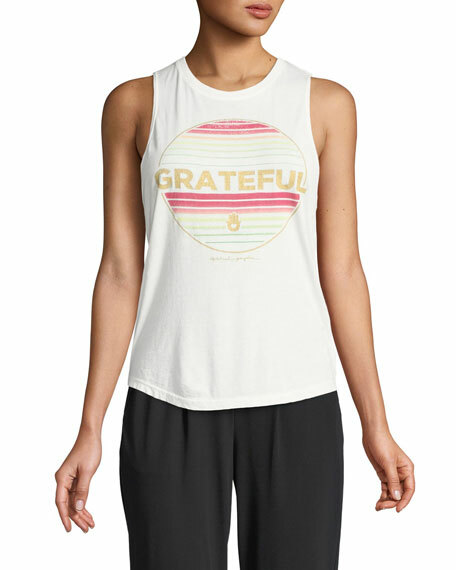 Spiritual Gangster "Grateful" tank with graphic print. Offering yoga-inspired clothing for barre, lounge, and about town, Spiritual Gangster lives by one mantra: "May all beings everywhere be happy and free." Drawing on ancient wisdom as well as 21st century musicians, artists, and athletes, each piece is designed to spark positivity. 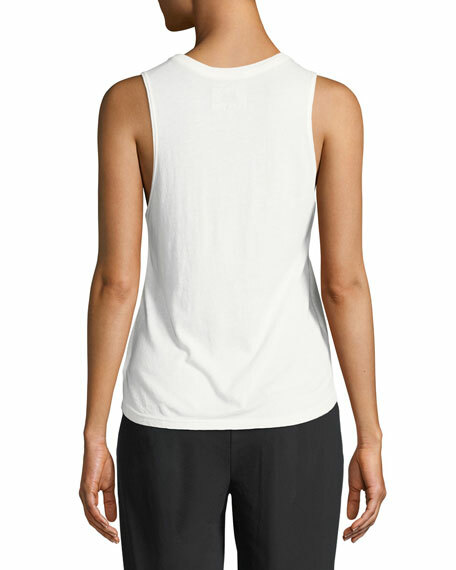 Live your best life in Spiritual Gangster's tanks, tees, sweatshirts, and more. For in-store inquiries, use sku #2598465.